Reserve car rental Sale at low rates by completing our search form! Discover the charm of the city with affordable car rental service! Car rental Sale is an optimal solution for everyone who strives for independence and freedom of movement. Whether you’re looking for an upmarket luxury car or just want a comfortable car hire for family travel we offer you wide choice of cars to fit the bill. Make use of dedicated customer service along with easy booking procedure and just enjoy great car rental deals! Decide on suitable Sale car rental location and don’t forget to look through Must Know and Places to Visit with car rental Sale! The city of Sale is situated within the Metropolitan Borough of Trafford, in Greater Manchester, England. The town lies on flat ground on the south bank of the River Mersey and is historically part of Cheshire. 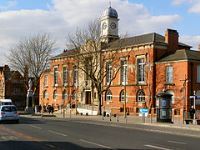 Sale’s main districts are Ashton upon Mersey in the northwest, Sale Moor in the southeast, and Brooklands in the southwest. Brooklands is the most densely populated area. 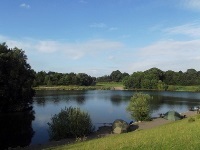 Most of the parks, including Worthington and Walton, are in the central and southern areas, leaving Ashton upon Mersey and Sale Moor with a shortage of accessible green space. 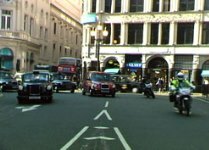 Fines can be exacted for a wide range of motoring offences, although on-the-spot fines aren’t imposed. Convictions for most motoring offences means an ‘endorsement’ of your licence, which results in penalty points being imposed. Serious offences, such as dangerous or drunken driving involving injury or death to others, can result in a prison sentence. It’s illegal to overtake on an inside lane unless traffic is being channelled in a different direction. The park Opened in 1979 and owned by Trafford council. It lies in an area of the green belt running through the Mersey river valley between Sale and Stretford. If you want to go there on your car rental vehicle - the park is located between the river and the M60 motorway. The water park occupies the area of 152 acres (62 ha) and provides important recreational facilities and wildlife reserves. 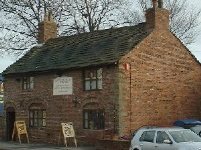 Explore the oldest surviving building in Sale using your car rental! It is one of the earliest brick buildings in the area constructed between 1660 and 1680. The building was called ‘Eyebrow cottage’ because of the decorative brickwork above the windows. The elaborate header bricks or "Eye Brows" over the window and door served the purpose of sheltering the windows from the rain water dripping off a flagged roof which originally had no gutters. Pay visit to an active Anglican parish church in a district of Sale by means of your car rental. 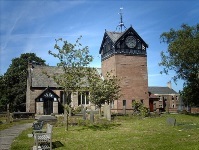 The first church, probably timber-framed, was built in 1304 on the site of an old Saxon burial place. In 1704 it was destroyed by a storm. A new church was built in 1714 for Joshua Allen. On the walls are a number of memorial tablets. The parish registers date from 1631. In the churchyard is a sundial dating from the early 19th century in stone with a copper dial and gnomon. RentalCars24h.com offers you reliable car rental Sale services that will help you to feel free and independent when moving around the town. Providing best online prices for car hire Sale services, RentalCars24h.com allows you to save money each time when you rent a car in Sale.